Grapevine is abuzz that Surya who will be stepping into small screen by hosting the 'Neengalum Vellalam Oru Kodi' on a popular TV channel will be paid Rs 1 crore for twenty five episodes. There are 80 episodes on the whole for the first season of 'Neengalum Vellalam Oru Kodi'. 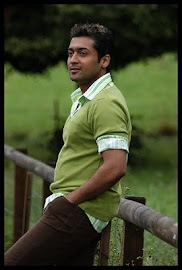 Meanwhile, Surya's forthcoming with KV Anand, 'Maatraan', is taking shape at fast pace. The film's action scenes will be canned at the MGM for nearly a month and these racy shots play a pivotal role in the script. It may be mentioned Surya signed 'Neengalum Vellalam Oru Kodi' post 'Maatraan', the reality show will be launched big in a couple of months and has already become a hot topic in K-town and social networking sites among the star's fans.